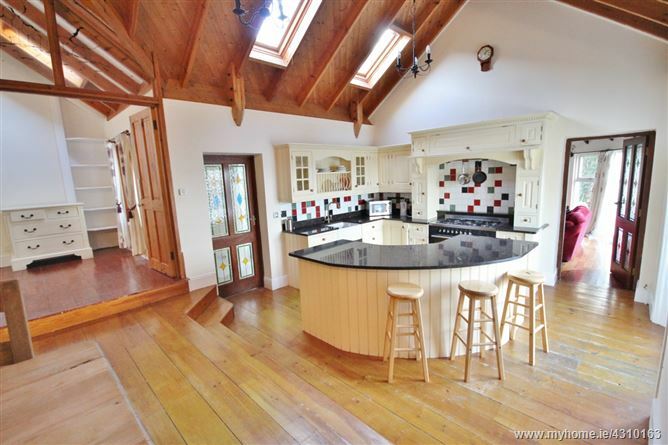 Charming residence with beautiful elevated views over the Blessington Lakes, this property is one of a kind. 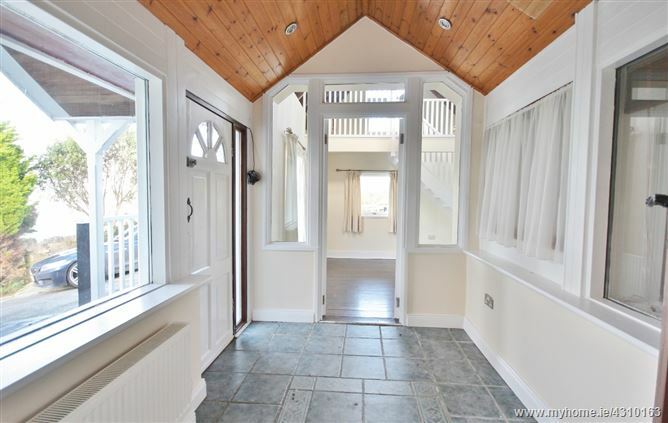 With high vaulted ceilings and wooden beams in most rooms, the character that this house boasts is immense. 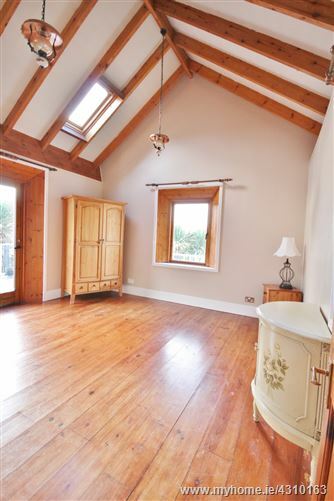 The rooms are all of good proportions with the main living areas well located to take advantage of the view. 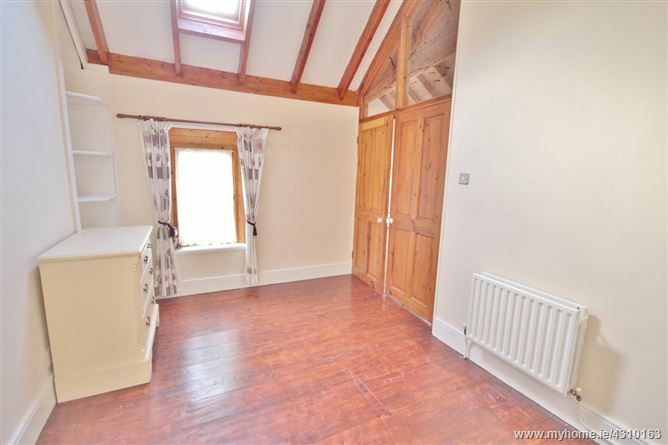 The open plan kitchen/ dining room comes complete with country style cream kitchen, wooden flooring and large open fire with stone chimney breast. 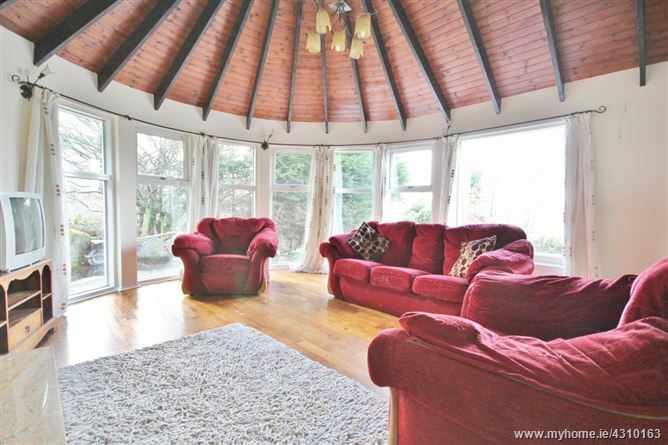 The living room has a cozy wood burning stove and curved floor to ceiling windows making the most of the vista. 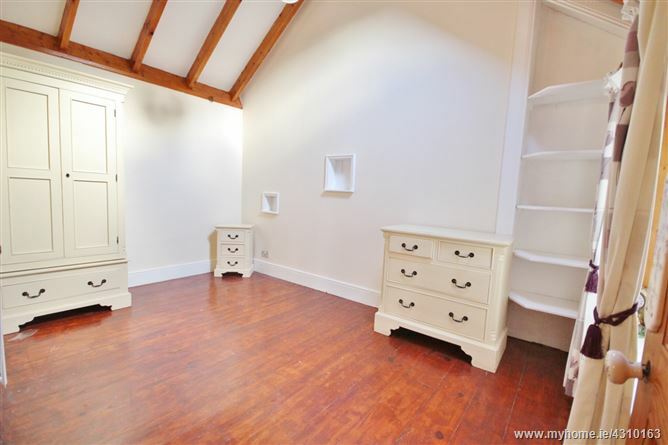 All bedrooms are doubles with the master bedroom en-suite and two of the rooms with mezzanines. The raised decking surrounds the front and sides of the house adding character and purpose being the perfect spot to entertain on a long sunny afternoon. 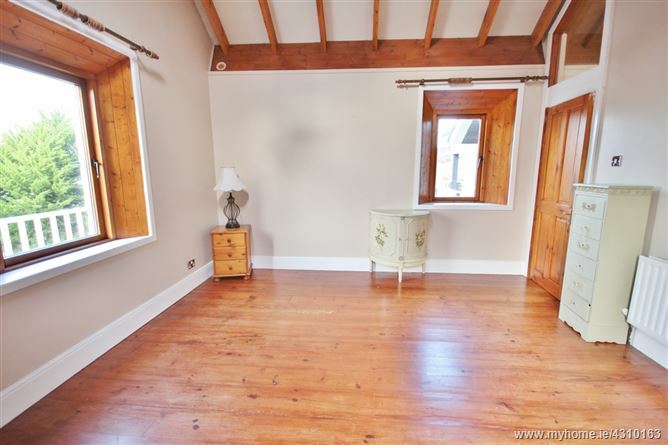 This property is a delightful and rare find off the beaten track. Early viewing advised. 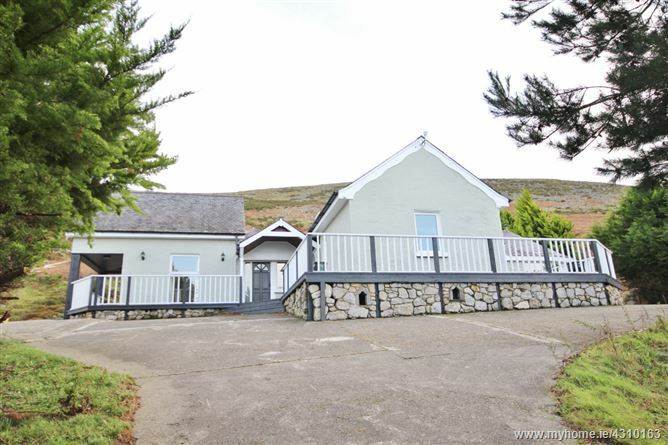 Situated only a short drive from Blessington Village just off the Lake Drive Road in this most scenic location overlooking the Blessington Lakes and within easy commuting distance of Dublin and surrounds. 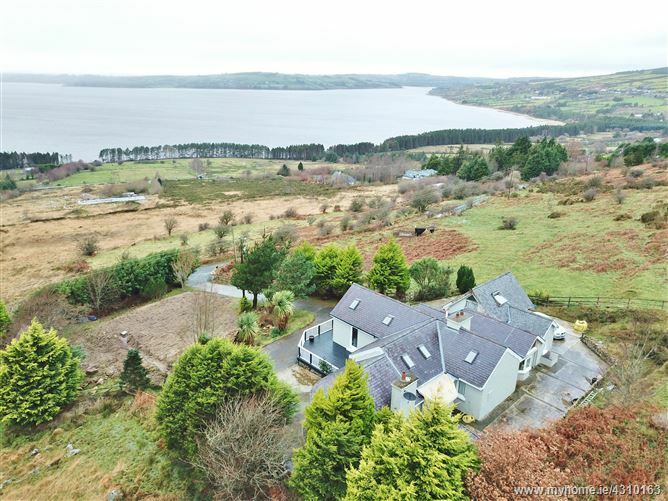 The property while accessed through a private road, is on the doorstep to a host of amenities with all the local facilities that the lakes have to offer including sailing, canoeing and boating. 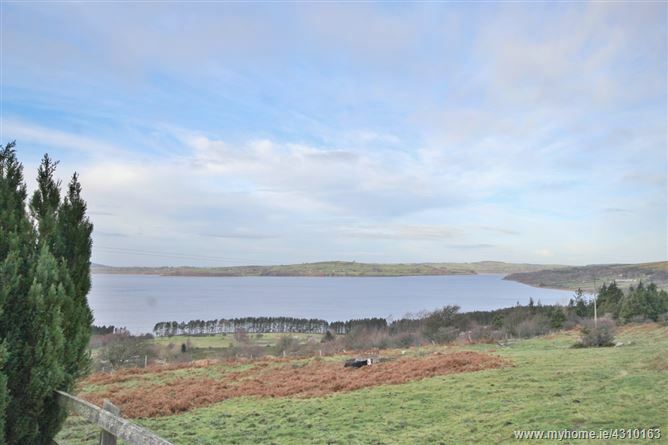 There is horse riding close by and many good golf courses in the area including Tulfarris and Blessington Lakes Golf Club. Lacken: c. 1.8 kms. 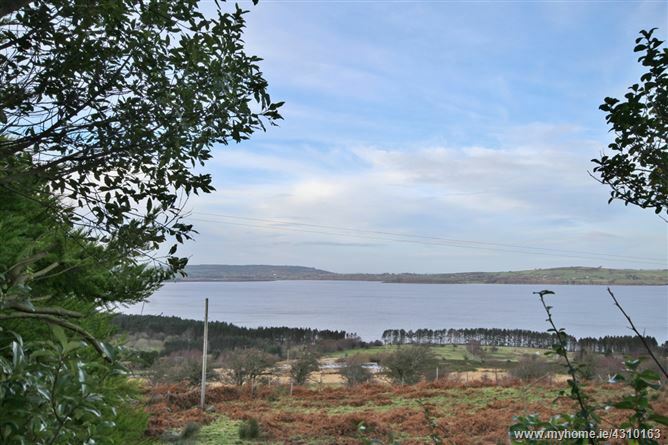 Blessington: c. 7.5 kms. Dublin City Centre: c. 35 kms. Entrance Hall: With tiled floor. Dining Room: 4.55m x 4.15m. 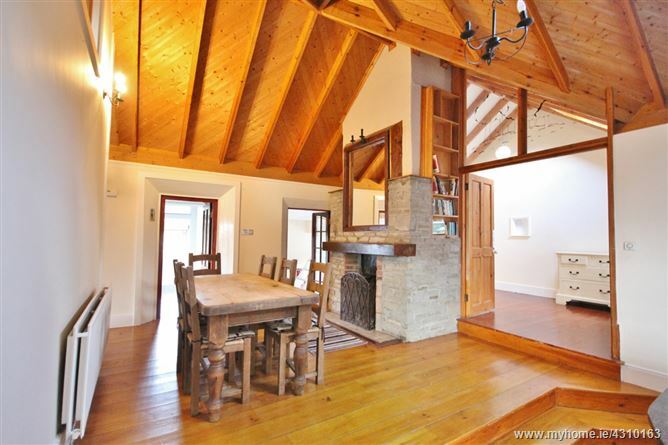 With beautiful feature open fireplace, wide plank wooden floor and steps down to kitchen. 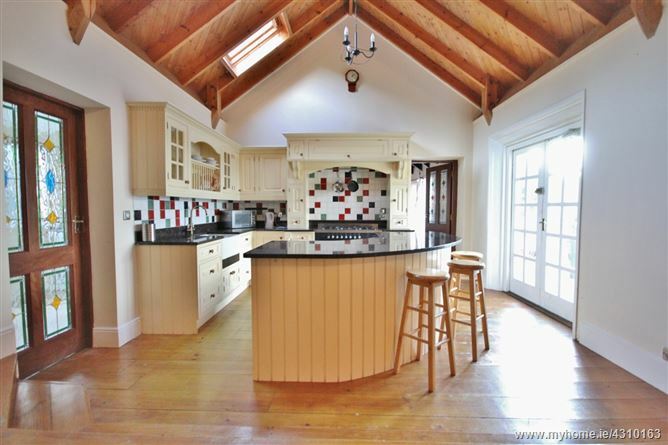 Kitchen: 4.15m x 3.55m. 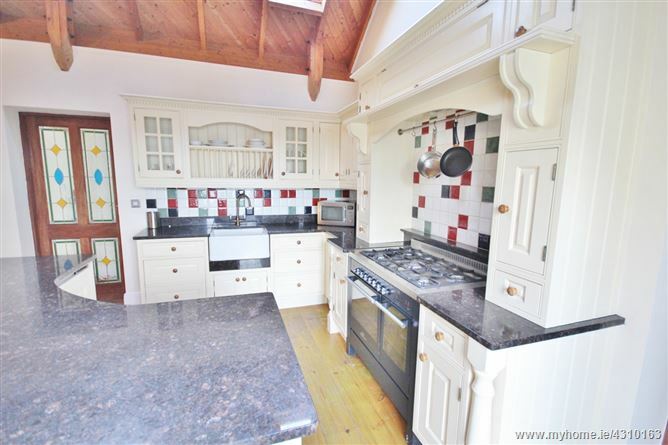 With cream country style fitted kitchen with granite worktops and Belfast sink, oven and hob, door to utility room and double doors to decking. 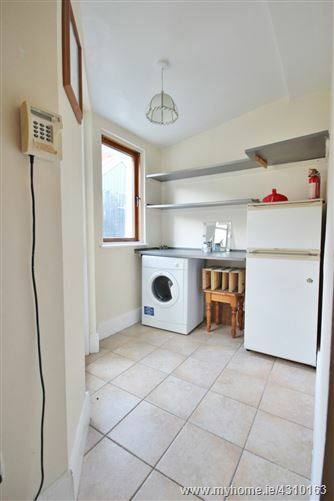 Utility Room: 2.30m x 1.90m. With fitted units, plumbed for washing machine and door to rear gardens. 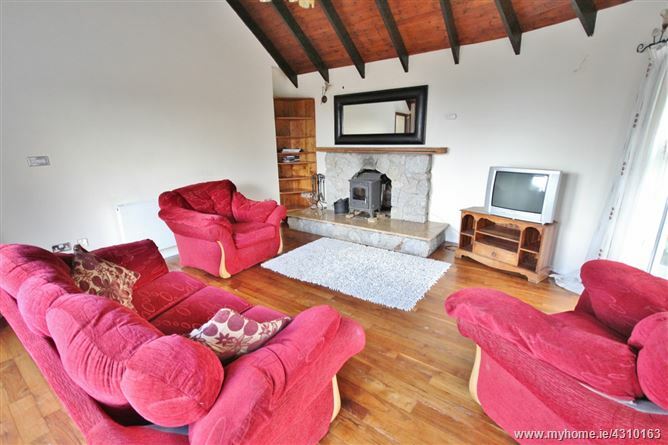 Living Room: 3.55m x 4.15m. 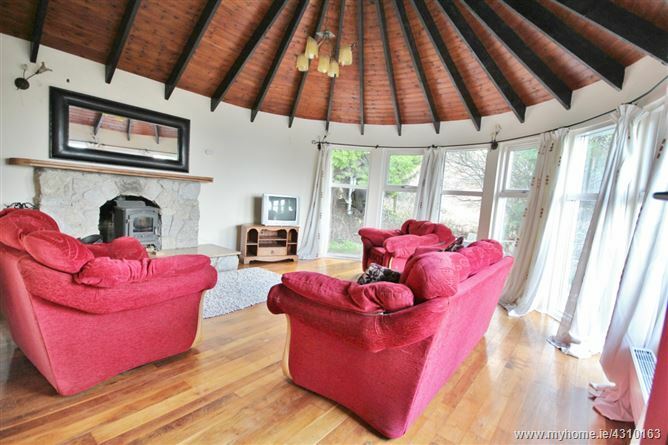 With curved floor to ceiling windows and stone fireplace with wood burning stove. Bedroom 1: 4.20m x 2.80m. 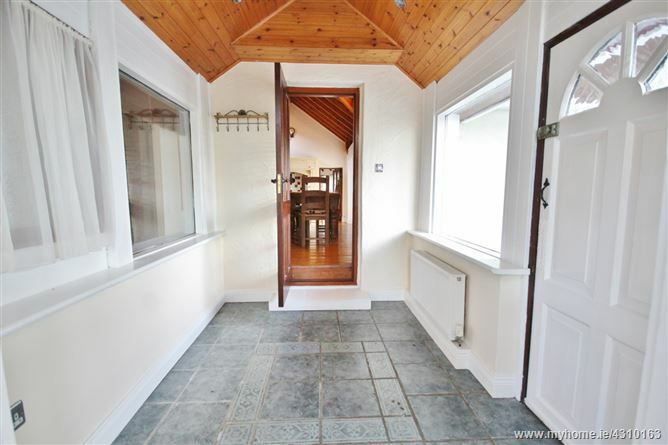 With wooden floor and double doors off the dining area. Bedroom 2: 4.50m x 4.45m. 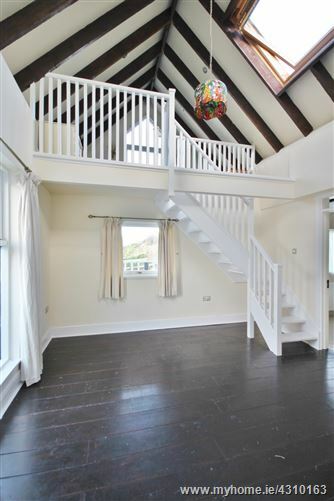 With wooden floor and mezzanine area. Bedroom 3 (Master): 3.75m x 3.65m. 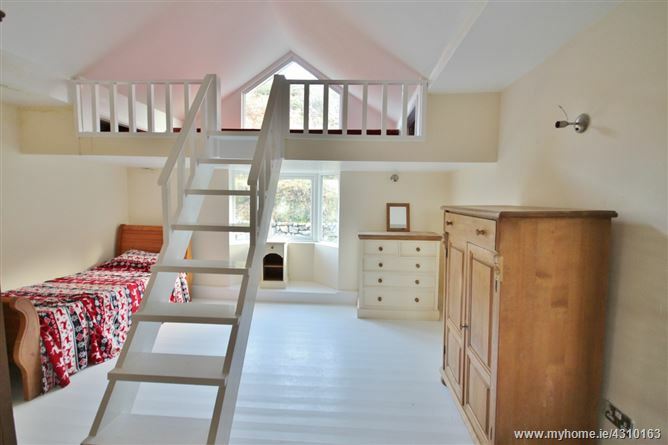 With stairs to a mezzanine area and en-suite. En-suite: 3.00m x 2.15m. With tiled floor and part tiled walls, shower cubicle, w.c and pedestal w.h.b. Bedroom 4: 4.10m x 4.00m. 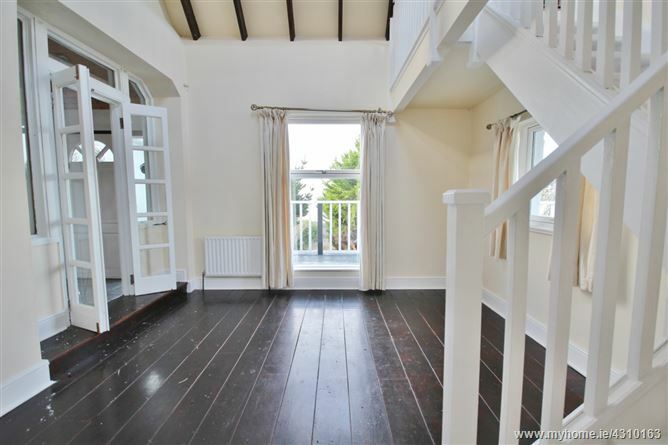 With wooden floor and door to decking area. 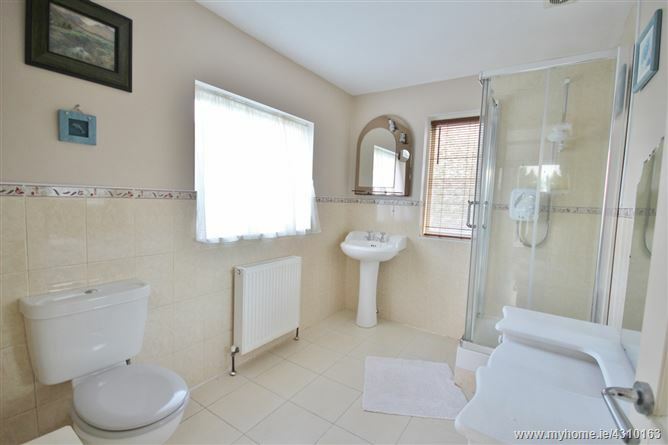 Bathroom: 3.10m x 1.95m. 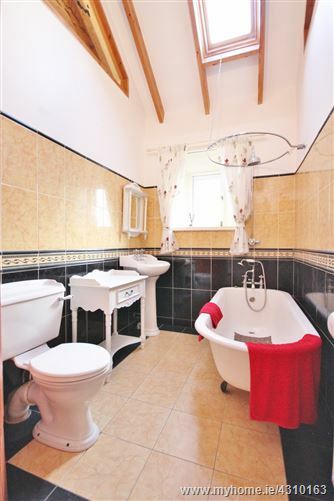 With wooden floor and part tiled walls, freestanding roll top bath, w.c. & pedestal w.h.b. 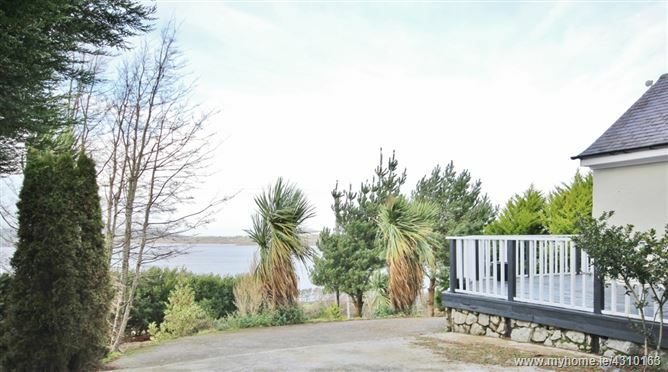 •	Large gardens extending to c. 0.5 acres.